I’m pleased to announce that Sustrans are to take over the role of organising Street Talks. 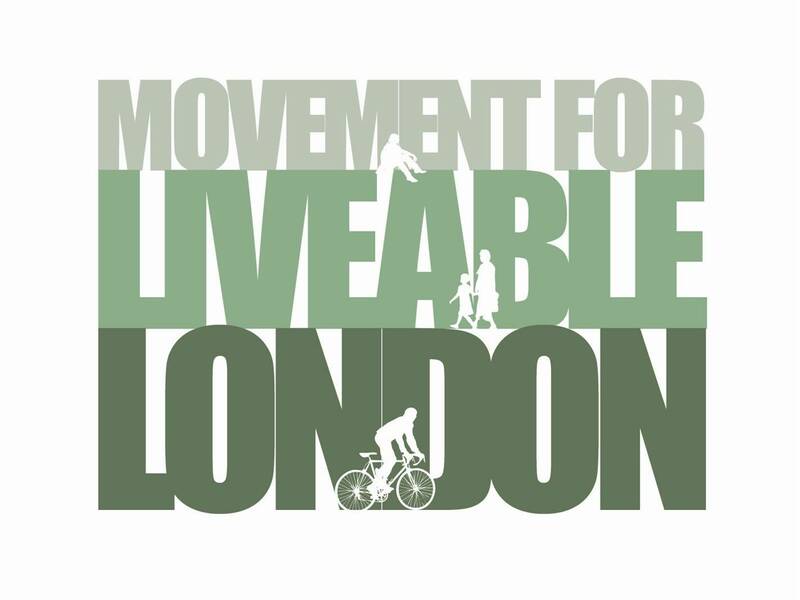 I’ve recently started working for Transport for London and as a result have decided to put the activities of Movement for Liveable London on hold. The website will stay live so that people can continue to access the Street Talks archive and other resources, and upcoming talks will continue to be advertised through the mailing list – you might also like to follow Sustrans London on Twitter. I’d like to thank German, Matt and Nick at Sustrans for offering to keep Street Talks going. Much progress has been made in London since the talks began in March 2011, but there’s still a need for events that allow anyone with an interest to hear inspiring speakers and discuss the relationship between transport, public realm and liveability. Details of the next Street Talks, which will explore the role of street closures in providing space for play, can be found here. I’d also like to take this opportunity to thank all those who have attended past talks and in particular previous speakers – it’s fair to say that Movement for Liveable London and Street Talks would have been nothing without you. Claudia Draper joined with other parents to successfully campaign for the introduction of Hackney Play Streets in 2012 and is a volunteer organiser in her own street. Claudia now works for Hackney Play Association, a charity that works to improve children and young people’s health, wellbeing and quality of life, through play. She has worked closely with Hackney Council and Playing Out CIC to support residents, schools and other community organisations to activate street play in their areas. There are now 32 streets taking part in Hackney that run regular playing out sessions with Claudia’s support. Nick Jackson is Play Development Manager for Young Hackney, Hackney Council, which aims to help all of Hackney’s young people to enjoy their youth and become independent and successful adults. Nick commissioned the play street support work that has running for the last year and a half. This has spurred the uptake of play streets in the borough and helped play streets spread to more deprived areas in Hackney. Tim Gill is one of the UK’s leading thinkers on childhood, and an effective advocate for positive change in children’s everyday lives. For over 15 years his writing, research, consultancy projects and other work has focused on the changing nature of childhood. Tim has advised political parties and think-tanks across the political spectrum. His clients include the National Trust, London Legacy Development Company, Forestry Commission, Mayor of London, Argent plc. and Play England. He is also a Built Environment Expert for Design Council CABE, the UK Government’s design champion for the built environment. This is a a joint event with the London Cycling Campaign, with speakers from Enfield, Kingston and Waltham Forest. The Mini-Hollands programme is perhaps the most ambitious aspect of the Mayor’s Cycling Vision. Three Outer London boroughs are receiving substantive funding for transformative interventions in town centres, incorporating measures such as new fully segregated cycle routes and extensive modal filtering. Come and discuss how plans are progressing in each borough and what other transport authorities can learn from these experiences. This event is free to attend, but registration is required. Register here. London is a growing and ever evolving city and new development is everywhere – often taking place at a significant scale that essentially creates new pieces of city. New development provides the opportunity to make places where walking and cycling is a pleasure, starting with a relatively blank canvas to create great streets, squares and parks. We hope you can join us for the next Street Talks when we’ll be considering how to ensure new developments genuinely put the needs of pedestrians and cyclists first. We’ll explore how to improve connectivity for those on foot and bike, learn from the experience of developing King’s Cross – one of the largest and most exciting projects currently underway in London – and learn how the design of neighbourhoods, streets and homes in suburban locations can help break the cycle of car dependency. Nick Searl is a Partner of Argent LLP, having joined the company in January 2008. His main priority is leading the commercial teams at King’s Cross who deal with the definition, strategy, leasing and management of the office and retail components. He is also closely involved with the wider branding and promotion of King’s Cross. At a corporate level, Nick is involved in securing new development opportunities for Argent and is jointly responsible for marketing and promoting the business. Before joining Argent, Nick worked with Chelsfield and European Land at Paddington Basin where he delivered The Point and Waterside buildings for M&S and Orange respectively and was also the development manager obtaining planning permission for the 1.8 million sq ft Merchant Square development. Max Martinez is an Associate Director at Space Syntax where he leads interdisciplinary projects that range from the development of design briefs to the strategic design of urban areas and buildings. His particular interest is to provide design solutions that optimise available spatial resources for the benefit of the project and to the wider area. Through a collaborative approach, he brings his extensive project experience into the design process helping partners and clients reduce the inherent risks of design and development. Max leads the development of the practice’s complex buildings portfolio: cultural, health, education, workplace. His contributions include the redevelopment of the Royal Festival Hall and the Barbican Arts Centre in London and a visitor circulation strategy for the Natural History Museum in London. His recent masterplanning contributions include the BBC Television Centre and Elizabeth House in London and the Snow Hill Station Interchange Plan in Birmingham. He is an Honorary Research Fellow at the Bartlett, University College London where he lectures regularly on the Spatial Design: Architecture & Cities masters programme. Bruce McVean is Associate Director of Beyond Green, a consulting and development business that aims to create places where residents, employees and visitors can enjoy a high quality of life while minimising their environmental footprint. He leads Beyond Green’s work on strategic masterplanning, helping design teams and local stakeholders work together to ensure places are designed and run in ways that are truly sustainable. Bruce founded Movement for Liveable London in 2011 and is also a Trustee of Living Streets. He was previously Senior Policy Advisor at the Commission for Architecture and the Built Environment (CABE) where he was responsible for developing and communicating CABE’s policies on sustainable design and climate change, public buildings, health and public space. 10am – 4.30pm, Saturday 21st June at NCVO, King’s Cross, London. We’re delighted to be supporting this year’s Living Streets Supporters’ Conference. The central theme for this year’s conference is putting streets and walking on the political agenda in the run up to the General Election. With the election only 11 months away the time to get streets on the political agenda is now. The packed programme for the day includes a keynote address from John Whitelegg, who will be addressing ‘putting sustainable transport at the of election campaigning’; Streets Question Time – your chance to ask representatives from the main political parties about there plans to put pedestrians at the heart of transport policy; and masterclass sessions covering engaging with MPs and decision makers, running a successful local campaigning group and online campaign tactics to inspire change. The conference is free to attend. You can find more details and register to attend here. There’s loads more from StreetFilms here. The way we shop may be changing but London’s high streets are still at the heart of local communities. They are the city’s hardest working streets – having to accommodate through and local traffic while also being great places where people want to spend their time and money. Finding the right balance between those competing demands is essential if high streets are to thrive. We hope you can join us for Street Talks on 1st April when Tom Platt from Living Streets and Louise Duggan from the Greater London Authority will be exploring the roles of place and movement in creating successful high streets. Louise Duggan has a strong track record in linking strategic thinking with effective programme development and project delivery at local national and regional levels in the public sector. In her current role at the GLA she is responsible for delivery of £28m support for regeneration in Tottenham. She is helping deliver complex projects which promote urban renewal and economic growth by working with partners to secure physical change and support enterprise. Louise also is also leading on development of strategies to addresses the complex challenge of accommodating 1 million new Londoners while maintaining space for jobs and growth on London high streets. In previous roles at CABE Louise defined and led an innovative street design and placemaking programme. She represented CABE at a senior level, brokered multi agency agreements, and influenced national policy agendas. Tom Platt specialises in city design and policy, with a particular interest in how people get around. In his role as London Manager, Tom oversees Living Streets’ policy and campaign work aimed at making London a safer and more inviting place to walk. Tom is a champion for 20 mph speed limits in London and has played a key role in its greater roll out within the capital. He currently sits on the Mayor’s Road Safety Steering Group and Better Junction’s Review Group. Before joining Living Streets, Tom studied Urban Design at the JCUD in Oxford and worked as a regeneration consultant for URS. Between roles, he set up and ran his own fruit business, before selling in 2006.